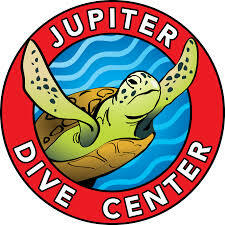 Experience the finest Jupiter scuba diving with Jupiter Dive Center of Palm Beach County – a PADI 5 Star Center. 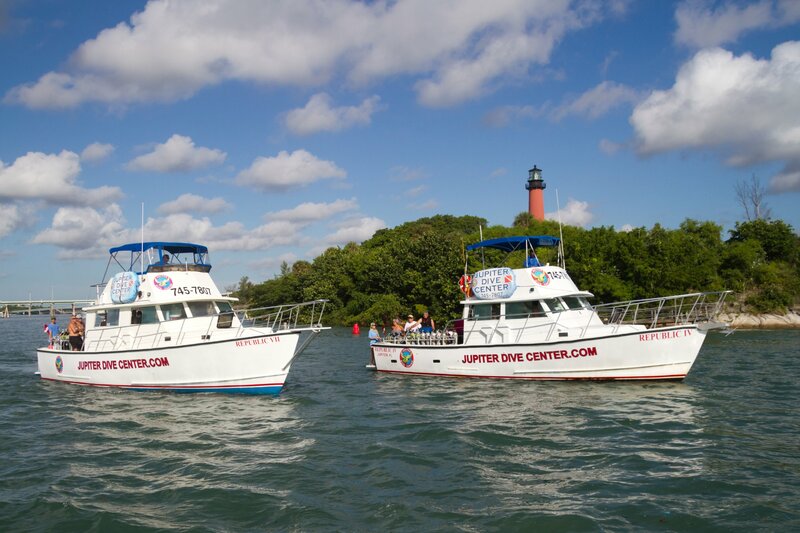 At Jupiter Dive Center you can explore the fantastic coral reefs, ridges, and wrecks. We are also home to some of the best scuba diving Palm Beach County has to offer and home to Gary the Goliath Grouper. Because we are so close to the warm tropical water off Palm Beach County, Jupiter Dive Center is able to offer daily Scuba Diving Charters all year long where we you will have the pleasure of seeing sharks, Goliath grouper and turtles. We offer dive charters every day at 9am and on weekends at 9am and 1:30pm. We can cater to technical divers and rebreathers with the ability to do oxygen fills and tri-mix. We have two big 40-foot dive boats docked at our back door, home of Republic IV and Republic VII. Your one stop dive shop. Book a Dive Boat Now. We also have packages available. As all of our diving is drift diving divers must have a surface signaling device. The 2-Tank, Boat Dive ticket is sold out. You can try another ticket or another date.